This topic contains 1 reply, has 2 voices, and was last updated by swilliams 9 months, 3 weeks ago. This past March, I went on a cruise with my mother and sister to the Dutch Caribbean – Aruba, Bonaire, Curacao, and Sint Maarten, and was fascinated/frustrated with the amazing displays of public art and monuments dedicated to local island history and people. I was fascinated by these communities’ proud dedication to displaying their history, culture and people, which was consistent across all four islands. 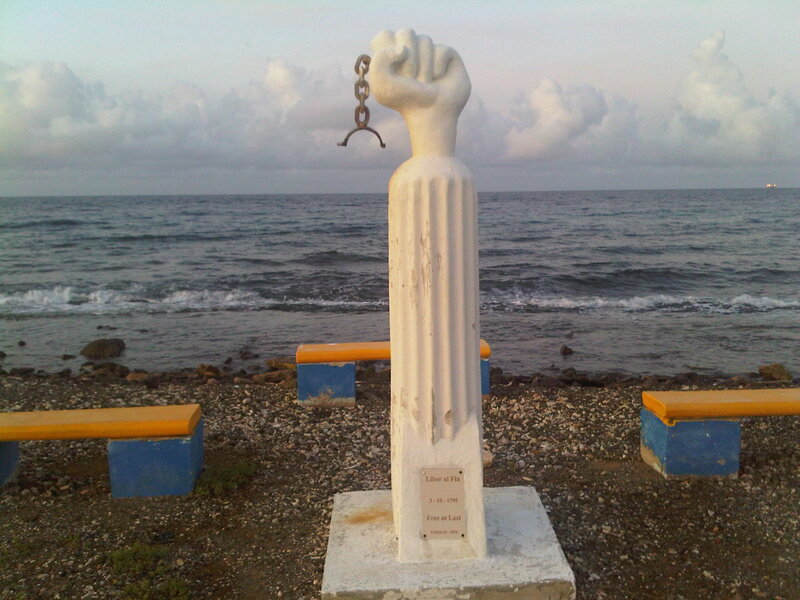 In Curacao, there were large sculptures of fists grasping broken chains to signify the fight and emancipation of slaves spread across the island in historically significant locations. In Aruba, there was a large water tank that had a giant advertisement wrapped around it displaying a local fisherman, a carnival dancer, and track & field athlete with their names below their photo that essentially celebrated how proud they were of the work that their people do. 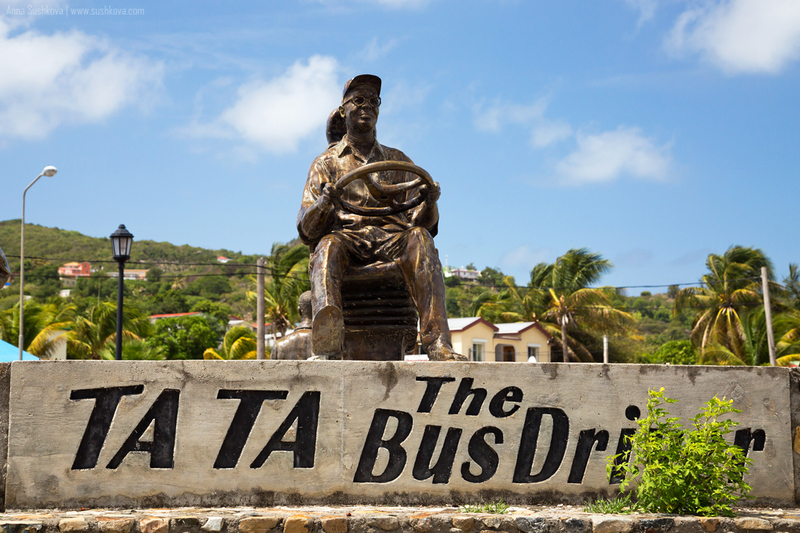 In Sint Maarten, almost every single roundabout in their road system had a large monument planted in the middle–statues in the likeness of real-life hometown heroes: a teacher, traffic man, butcher, and even a bus driver! I admired that these islands chose to actively celebrate their people. Not only the heroes of their emancipation but the everyday men and women who proudly participated in creating a sense of community on the island. It wasn’t necessarily something to showcase to visitors, rather and an everyday reminder to residents of how proud they should be of their countrymen and island. So what frustrated me is why doesn’t the VI do that? I think if we had constant reminders of how awesome we as Virgin Islanders are, it would be a great morale booster. 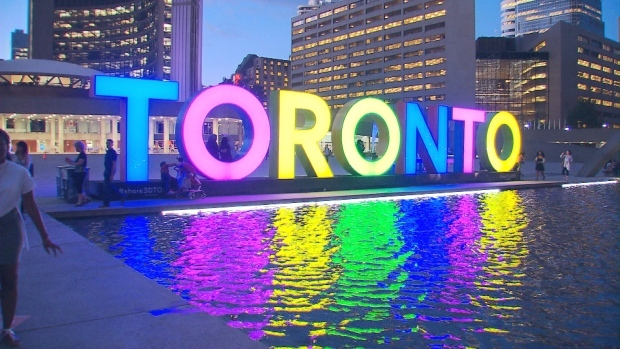 Public art displays are an excellent way to express that. It’s kind of like constant mental conditioning or propaganda…but good propaganda! Even if it’s those big “I *heart* STX/STT/STJ” sign sculptures or a colorful ST. CROIX sign sculpture like many major cities have. Again, not to prove to outsiders that we are valuable as a people, but to show our own that we have a lot be proud of. We need to big up ourselves! I haven’t traveled much in the Caribbean, however, I have traveled throughout Europe and know that even small towns have statutes as well as streets and public squares that commemorate the accomplishments of residents and citizens. A trip I made to Germany opened my ideas to the importance of keeping today’s generation aware of the positives and negatives of the community’s history. In Berlin, in addition to statutes commemorating the community’s losses associated with Nazi prosecution, there is outside of every house that experienced the violation of individuals arrested and deported to concentration camps a simple brass circular plate embedded in the sidewalk. Not to be depressing but I share this in support of your observation that others do communicate and showcase their history much better than we do. Its great that we are finally offering to visitors engagement through historical tours along with the beach experience. I have not been on one of these though I am told they are available on all three islands. The National Park Service explains the history of the colonial sugar period by showcasing the Annaberg ruins (why did we have to wait for the Department of Interior to do this). I am told there are private groups doing historical tours on St. Thomas and I recently saw promoted a tour that offers participants a walk in the footsteps of Alexander Hamilton on St. Croix. All these are positive but we also need to fast forward and recognize the accomplishments of more recent activist who made contributed to making the Virgin Islands what they are post transfer. The statues in Post Office square are a positive step. We just need to do more.